It’s now a norm that we purify our water. We also now prefer organic food and use anti-bacterial cleaning products. It’s about time we clean up our air too. Sad to say, but indoor air has more pollutants compared to outdoor air, in terms of proportions. It is a known fact that people can shed up to 40,000 dead skin cells every minute. One of the reasons why we need the best air purifiers for our homes. It also means over 50 million skin cells are shed per day inside your very own home. That only counts one person, if you have housemates or pets, then the more reason to get your house air purified. 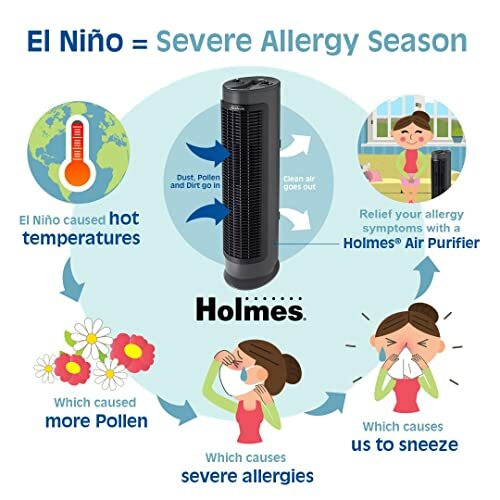 Also for allergies, certain air cleaners like a HEPA type air purifier Holmes has produced should help you out in getting rid of those nasty airborne allergens. 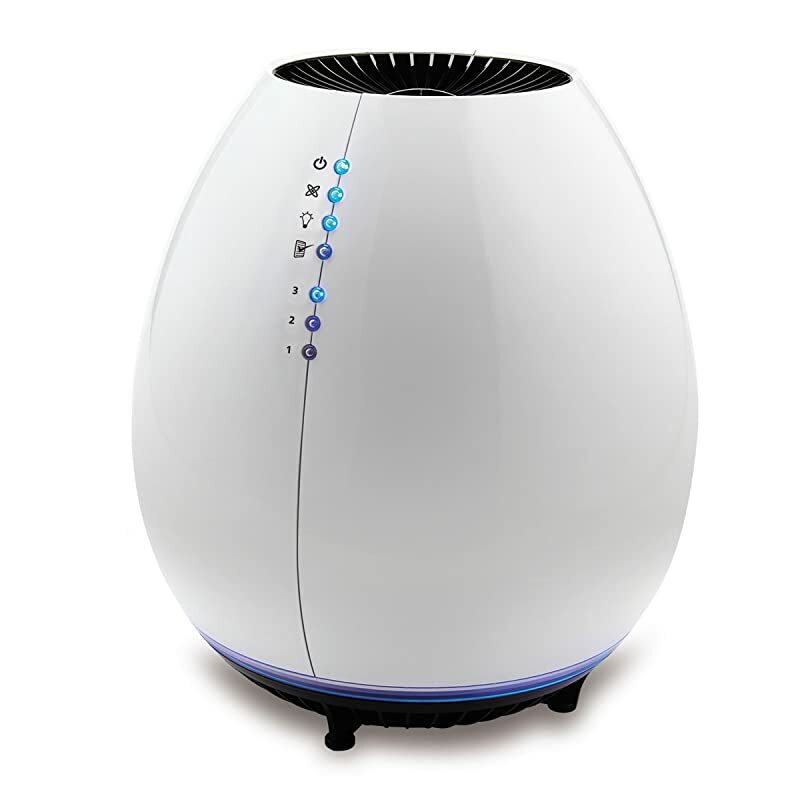 Homes Air Purifier is one of the best air purifier brands. Why Purify Your Indoor Air, Again? Holmes Products Corporation, or others call it Holmes Group is a company established and based in Milford, Massachusetts. 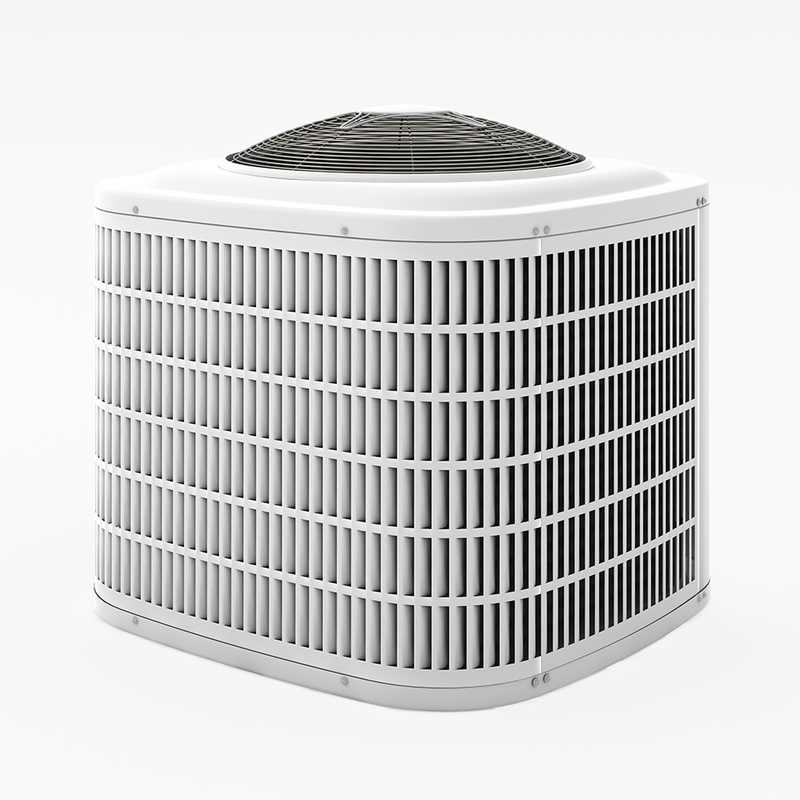 They initially produced mechanical fans, humidifiers, and air heaters. Eventually they stepped into the air purification industry as one focus. Dust just pop up on your desks as other pollutants inside your home. Fibers here there and everywhere from carpets, clothes, furniture and anything. When vacuuming your home, it also spits out microscopic debris all around the house. Just when you thought it’s safer to come outside, outdoor air is actually filled with more dust and pollutants especially in urban areas. If you have trees all around, you don’t have to worry, else, you should turn on your car’s air conditioning unit. 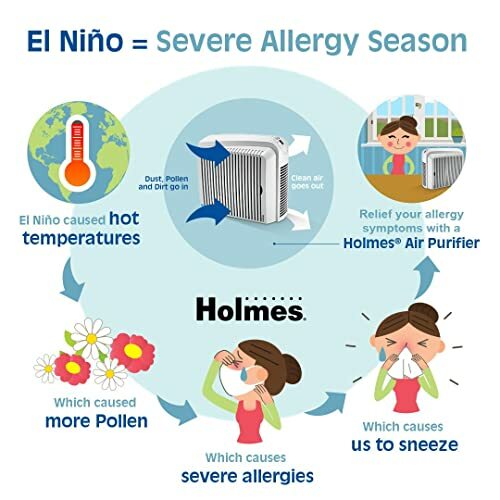 Holmes Aer1® system claims to be the most effective in the market. 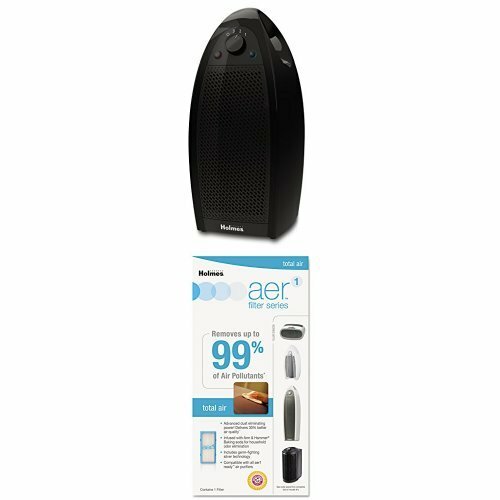 It combines the power of Holmes® brand air purifiers and the most effective filter technology that is available for the modern times. 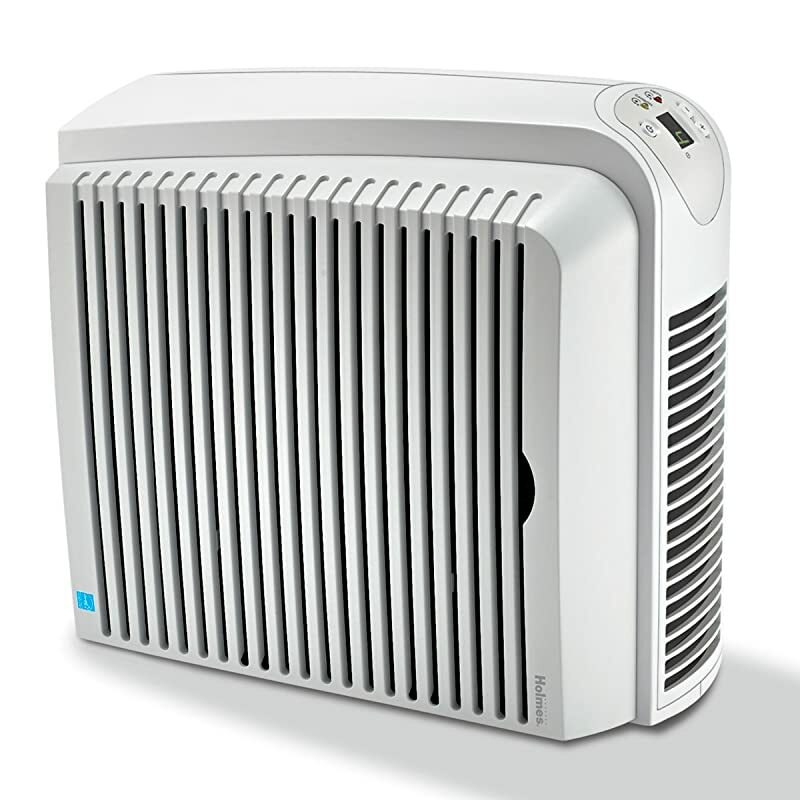 Price doesn’t determine an air purifier’s performance but it does give you a higher chance of getting a good one. This one definitely nailed it. Its quiet operation and slim design are 1 thing. 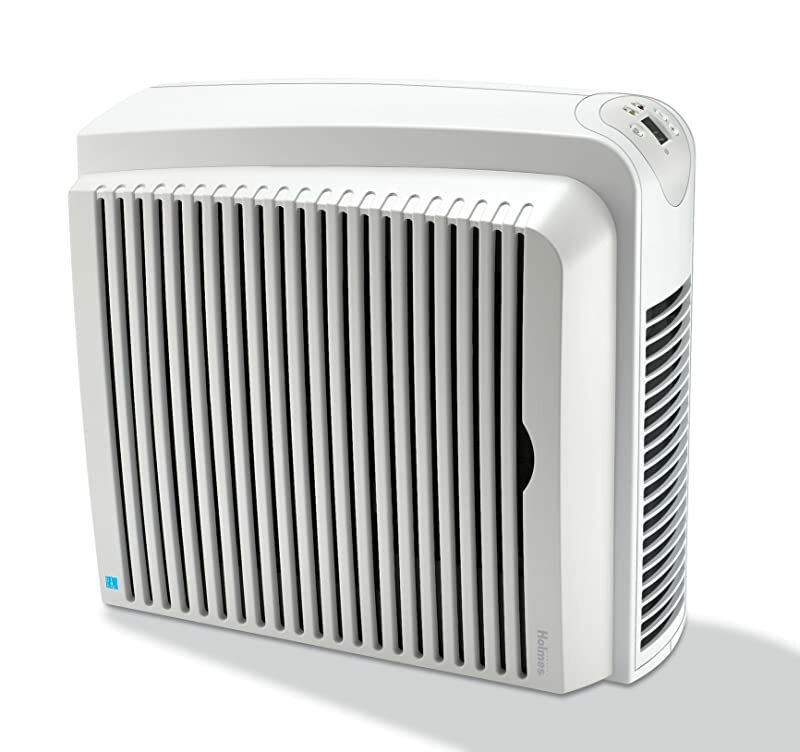 This premium air purifier can go up to 99.97% of HEPA filtration. 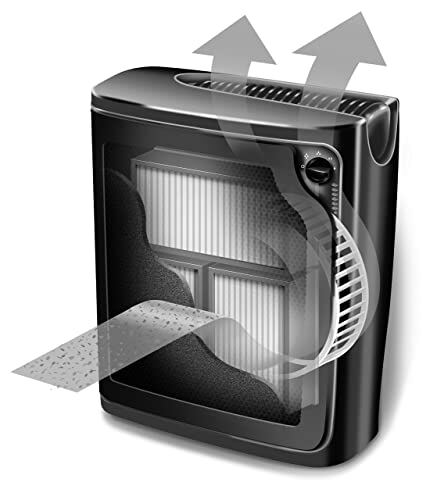 On top of that the odors are significantly reduced with the premium carbon odor filter. 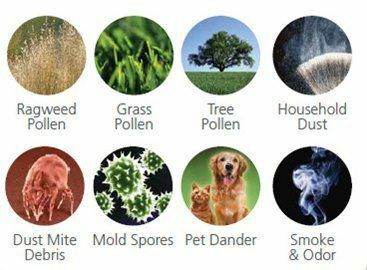 Airborne bacteria, pollen, molds, dust, pet dander, and cigarette smoke are gone in just a few minutes. The speed settings and digital display are found to be very convenient. The timer settings also work great for overnight use. There’s also this filter service indicator that I haven’t used since the unit is quite new. Anyway, it’s great to have it there someday for me to remind on changing filters. This filter claims to cater up to 418 square feet. I tried it on a bigger room, opened the doors to the whole house and to my surprise, it really does purify the whole small house. The operation is also quiet which is on of the things I love the most from this air purifier. This one is last but certainly not the least on our top 10 list. The awesome filtration is brought to you by their Aer1 technology. The HAP756 has some raw power inside. Don’t judge the small build, it has proven to be effective in bigger rooms. Tested it on a 400 square meter house and it acts like a central purifier. The range is quite big so this is a nice must-have for bigger houses. There are a wide range of room sizes. This particular model works great sub 350 square feet. If you have a bigger room, get something else. 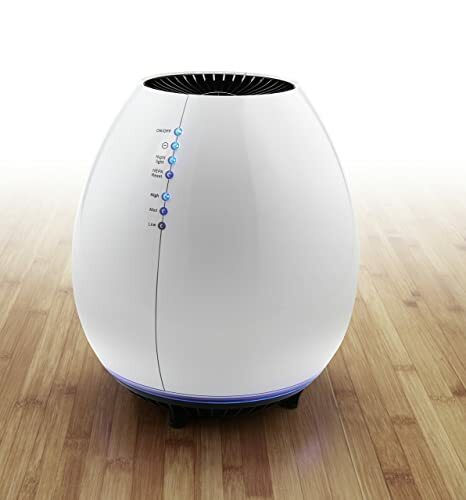 With a range of around 349 square feet, we tried this air purifier on bigger rooms. To my surprise it works just fine. We cranked it to max settings on a 400 square feet living room and it still does good. The air is still pure to feel with your nose and lungs. Not bad at all. With its large size, we also tested it on a small house with all the rooms open. The result is satisfying, air is fresh to breathe in. 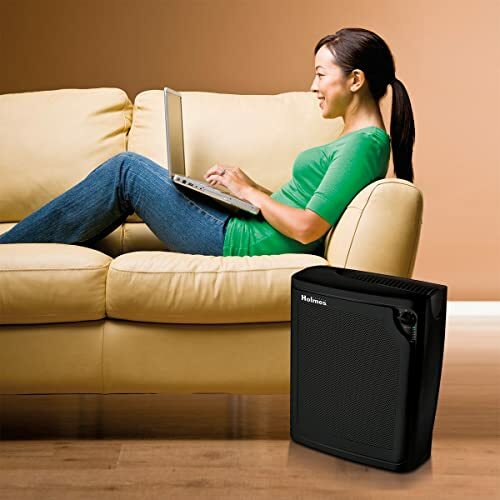 People complain about noise when it comes to air purifiers. It has been a standard that it should be quiet. Well, this one isn’t quiet but isn’t too loud either. It sounds like some machine is cleaning up your air and it is satisfying to hear too. 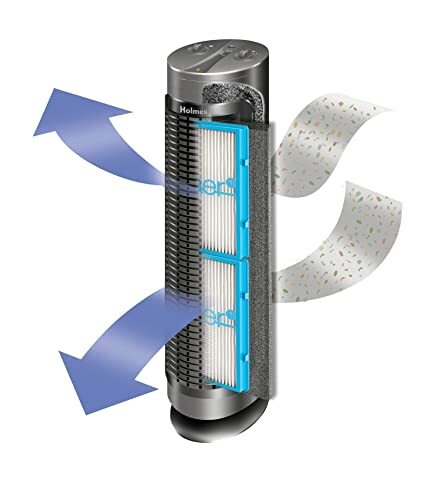 Armed with the notorious Aer1 Total Air filter, you can be sure that all those nasty stuff will be filtered. Holmes has come a long way of perfecting this technology. 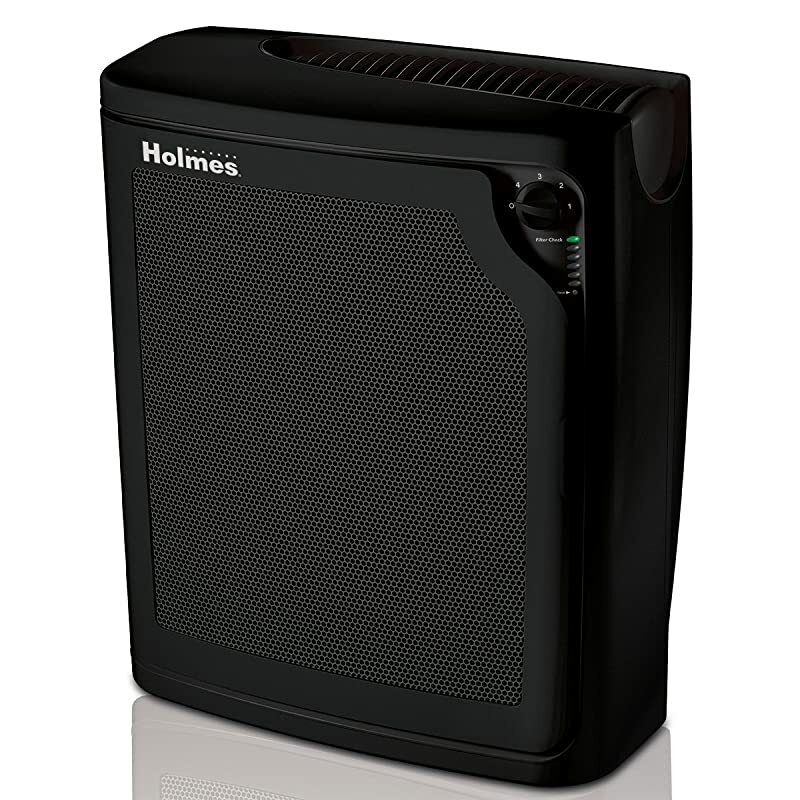 One of the best filters from Holmes combined with their own air purifiers is one lethal duo, against those nasty air pollutants. I was confident when I set this up on a big room and I wasn’t wrong. It delivers premium purification, or at least that’s what my nose tells me. It’s filter life monitor is accurate enough. Tried it in a very dusty room and 3 days later, it prompted. When opened it needed cleaning as alerted. The Aer1 filters are very easy to clean. All you need is some backyard to vacuum or blow away the dust, depends on what style of cleaning you prefer. 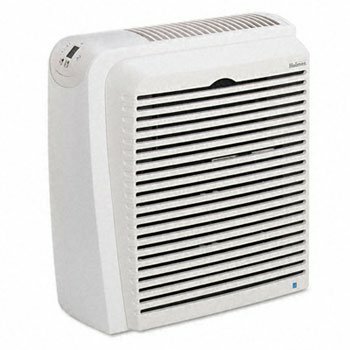 Known for its mini tower form, this particular air purifier is best for small to mid-sized rooms. It also snugs perfectly on every corner of the room. This purifier certainly works well, most especially for the price. Tried this one out with a dog and the odor just goes away minutes after it starts. We tried two different filters at once,the total air filter in blue and the odor fighting filter in yellow. This is a good combination to eliminate pet smells. Not just that, the air circulating just feels very clean. The optional ionizer adds to its arsenal of air cleaning methods. Turning it on really does give that extra clean smell in the air. With that feature plus the cheap price, this one is definitely a keeper. 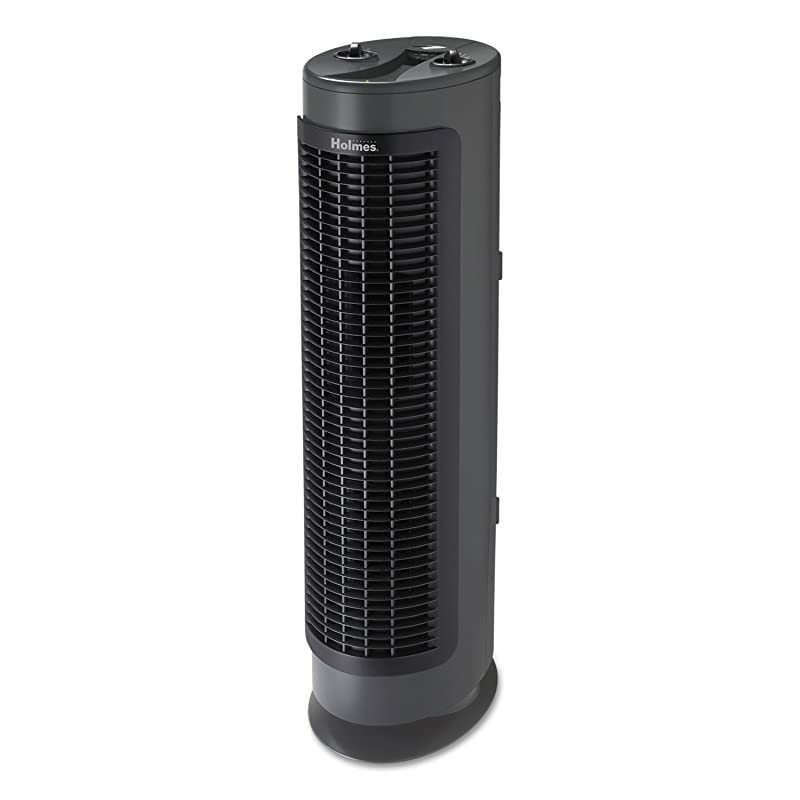 As most air purifiers do, this one tends to get a bit noisy. I am not bothered by it anyway so it’s not an issue when used regularly. Talking about price again, this one might be priced cheap but it performs on rooms up to 256 square feet. That’s a lot of coverage at an affordable price. 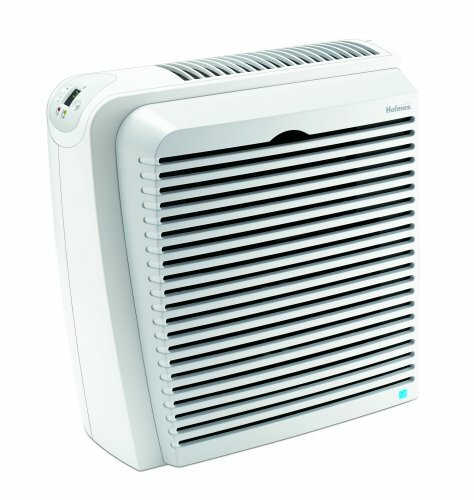 On top of that, this cheap but performing air purifier made it to our top 2 list since despite it being affordable, it still delivers. The speed settings are just there for you to tap on for your own preference. The HAP601-U is as awesome as its older brother HAP600-U. This one’s got a bit more bells and whistles. One advantage is the range. As we tested this on a dusty room, I had a lot of sneezes. But when the air purifier ran for like an hour or so, the itch is gone. This proves to be effective against dust. Just like its older brother, the 601 still has this awesome ionizer that I like so much. I turn it on everytime I let in my dog for added air cleanup. This little device sits quietly on your desktop while you do your work, write something, or just play games on your PC. This little device sits on your desktop, filtering the air while you do your stuff. It didn’t bother any work when I tried it while writing this review. The noise level is low enough and is very tolerable. It’s like having a small fan but it purifies air. One of the coolest designs out there. The egg shape is an instant takeaway. They blend well with every setup you have. Don’t let the design fool you. Although it looks weak it still is an effective HEPA filter. I tried it on a room and it works fast and the air is clean when you take a deep breath. Despite being effective inside, it still delivers that egg-shap﻿ed﻿﻿ design on the outside. I wonder how the guys at Holmes placed this thing together, it’s elegant yet functional. Another takeaway is its permanent filtration system. You don’t have to buy extra filters as replacement. You just need your trusty vacuum and some outside cleaning sessions, and you’re good to go. 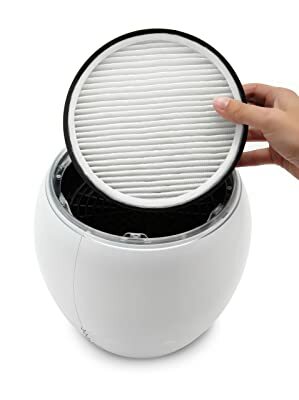 Because of its small shape you may need to often clean the filter especially for those who have nasty dusty rooms. After 3 to 4 cleaning sessions, I now have a stable cycle of around a month cleaning. That plus regular vacuuming. There you go, those are our best Holmes air purifiers that we have tested and tool notes upon. If I were to choose, I’d go for the most expensive one. The Holmes® True HEPA™ KDL26M4000 is the way to go, personally. It might be pricey but we want that premium performance and build. This one has proven worthy of its price. 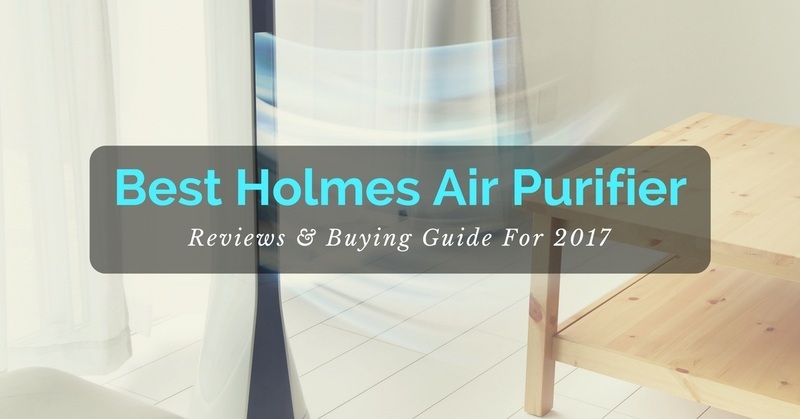 Don’t mind the price if you want the best air purification from Holmes. There are cheaper alternatives if budget is tight so you can always pick one of the other 9 I just reviewed. 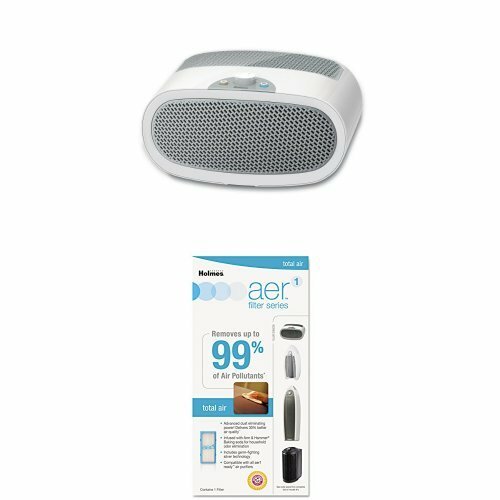 My personal choice for the best bang for the buck air purifier would be Holmes True HEPA Air Cleaner HAP726 which also works great with pet dander. Then, if you’re into interior design and are stylish, I would recommend the egg-shaped Holmes HAP601-U. Air Cleaner vs. Air Purifier: Are You Really Confused What To Buy? 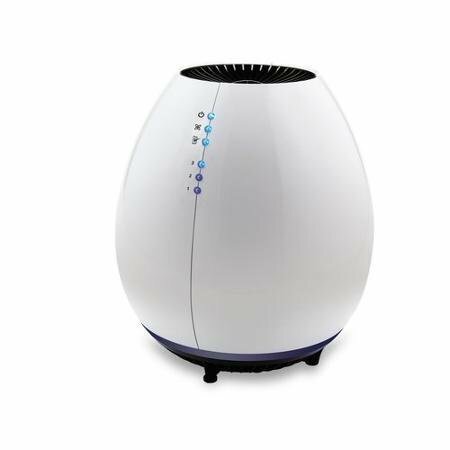 What Is The Difference Between Air Purifier and Humidifier?